Change things up with a short trip to Fremantle Prison in Fremantle (about 32 minutes away). Dedicate the 20th (Sat) to wine at some of the top wineries in the area. 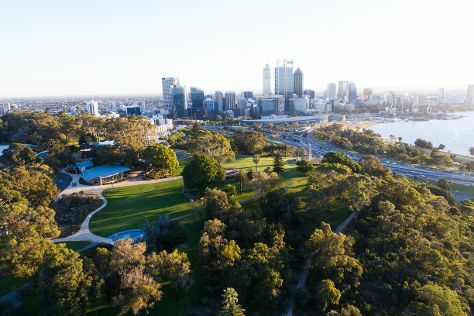 There's still lots to do: admire the natural beauty at Kings Park & Botanic Garden, steep yourself in history at The Perth Mint, examine the collection at The Nostalgia Box Museum, and have some family-friendly fun at Elizabeth Quay Carousel. To find photos, maps, ratings, and tourist information, go to the Perth day trip site . Sydney to Perth is an approximately 7.5-hour flight. You can also drive; or do a combination of bus and train. Due to the time zone difference, you'll gain 2 hours traveling from Sydney to Perth. Expect a bit warmer weather when traveling from Sydney in April: highs in Perth hover around 31°C, while lows dip to 15°C. Finish your sightseeing early on the 20th (Sat) so you can travel to Alice Springs. Spend the 26th (Fri) wandering through the wild on a nature and wildlife tour. 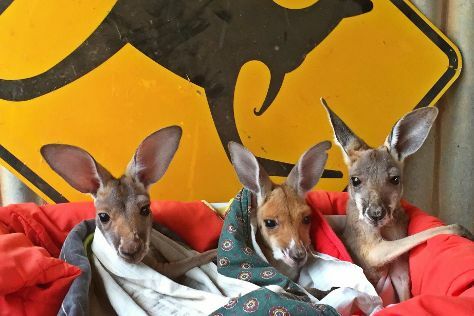 There's still lots to do: look for all kinds of wild species at The Kangaroo Sanctuary, take in the awesome beauty at Mount Gillen, take some stellar pictures from Anzac Hill, and contemplate the long history of Alice Springs Telegraph Station Historical Reserve. For other places to visit, more things to do, and more tourist information, go to the Alice Springs travel planner. Getting from Perth to Alice Springs by flight takes about 5 hours. Other options: drive; or take a train. Traveling from Perth to Alice Springs, you'll lose 1 hour due to the time zone difference. In April, daytime highs in Alice Springs are 34°C, while nighttime lows are 15°C. Finish your sightseeing early on the 26th (Fri) to allow enough time to travel to Brisbane. Change things up with these side-trips from Brisbane: SunJet Simulations (in Mooloolaba), Caloundra Regional Art Gallery (in Caloundra) and Sea World Theme Park (in Main Beach). And it doesn't end there: enjoy some diversion at South Bank Parklands, admire the natural beauty at Brisbane Botanic Gardens Mt. Coot-tha, get in on the family fun at Warner Bros. Movie World, and contemplate in the serene atmosphere at Nepalese Pagoda. For reviews, traveler tips, more things to do, and other tourist information, read Brisbane itinerary maker app . You can fly from Alice Springs to Brisbane in 5.5 hours. Other options are to drive; or take a bus. When traveling from Alice Springs in April, plan for little chillier days in Brisbane, with highs around 30°C, while nights are somewhat warmer with lows around 19°C. Cap off your sightseeing on the 1st (Wed) early enough to travel to Sydney. Explore Sydney's surroundings by going to Kissing Point Park (in Putney), Katoomba (Wentworth Falls & The Three Sisters) and Norman Lindsay Gallery & Museum (in Faulconbridge). 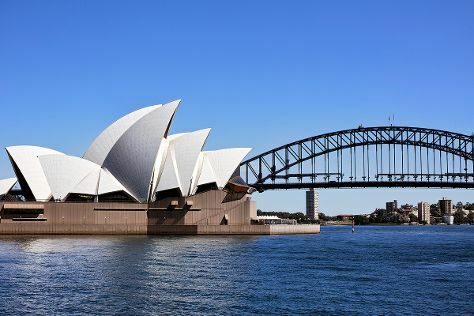 There's still lots to do: catch a live performance at Sydney Opera House, take in nature's colorful creations at Royal Botanic Garden Sydney, see the interesting displays at Australian National Maritime Museum, and hike along The Opera House to the Botanic Gardens Walk. For ratings, photos, more things to do, and other tourist information, read Sydney trip planning tool . 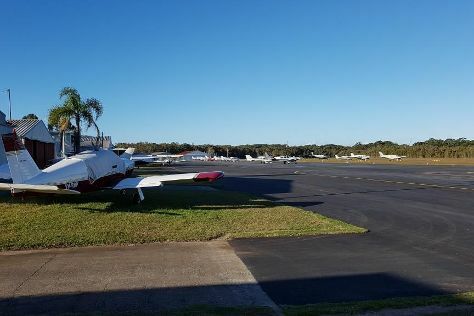 You can fly from Brisbane to Sydney in 4 hours. Other options are to do a combination of bus and flight; or drive. Expect a daytime high around 24°C in May, and nighttime lows around 14°C. On the 8th (Wed), wrap the sightseeing up by early afternoon so you can travel back home.